A Southern Californian Cycling Community Tradition! At $10 (+ postage if needed), these mirrors are available in various bottle caps - or you can gently remove your own & get a handful (usually come in 6) to Bill & he will custom craft one for you. 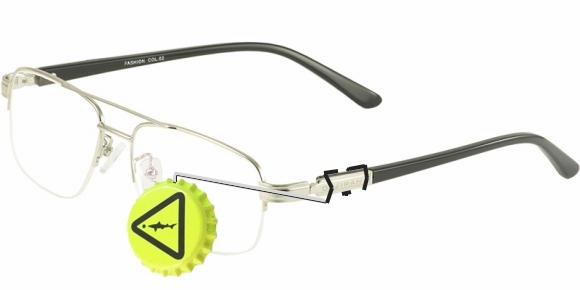 'Standard' BEER-VIEW Mirrors fit most standard glasses; but if you need a left hander for a bad eye or riding in the UK, or have really wide or angular temples on your glasses, Bill loves the challenges!